Nathaniel Simmons (Nara-ken, 2007-2009) is currently a communication professor at Western Governors University and lives in Columbus, OH, USA. He teaches a variety of intercultural, interpersonal, and health communication courses. He has researched and published several scholarly articles regarding privacy management between foreign English teachers and Japanese co-workers in Japan and is currently working on turning his research into a book. What makes a good or bad medical professional? ALTs perceived providers that “violated,” and/or did not perform culturally expected practices as “bad” providers. In other words, if a Japanese medical profession didn’t act as expected, the ALT perceived the experience and the medical provider as negative, or “bad.” As an example, one English teacher characterized the difference between a “good” and “bad” doctor. The following is an excerpt that distinguished between two physicians this English teacher encountered while seeking treatment for bronchitis. This ALT’s experience with an array of Japanese medical professionals within Japan allowed the ALT to construct a comparison and contrast of “good” and “bad” doctors. According to this ALT, good doctors either knew quickly what was wrong with a patient or took immediate action to determine what was causing the patient illness or discomfort as well as how to alleviate it. The “good” doctor sought to understand the patient’s perspective and the illness versus simply handing out an antibiotic which may not treat the illness for a fee. Ignited fear within the patient(s) by thinking out-loud and muttering possible diagnoses. Provided no verbal or nonverbal cues, especially on invasive exams like pap smears. Did not provide an “appropriate/adequate” diagnosis. Exceeded expectations on providing medical education, understanding, and comprehension to patients. This study raises the importance of intercultural health communication training. More programs need it. English teachers are placed throughout Japan by numerous organizations and boards of education and are expected to live well. However, that “living well” can be complicated when foreigners expect intercultural interactions to progress flawlessly and as according to their own culture. Some ALTs even chose to not re-contract due to their health care experiences in Japan (and not necessarily because they are in poor health). Scholars argue about “who should adapt to whom,” but that doesn’t really help us in the day-to-day life of a foreigner navigating a medical system (in Japan). Here are some suggestions, what others do you have? Research the Japanese medical system. What similarities, if any, exist between Japan and your home country? What differences, if any, exist between Japan and your home country? Google Japanese words for common symptoms and your current prescriptions. Ask questions to a friend, other English teachers, and co-workers (if you feel comfortable). What should I expect when I go to the doctor/dentist/hospital? What surprised you about the Japanese medical world? (to other foreigners). What over the counter medicine do you find works best for _____? Remember that Japanese medical professionals are trained professionals. Insert your tips here ______________! By Jon Dao(Toyama-ken, 2009-12) for his podcast Discussions with Dao. Jon works as a speech coach andpersonal trainer. Fresh off the plane (okay maybe more like a few weeks) from a 5 year stint in the JET Programme, here’s graphic designer Patrick Finn! Be sure to follow him on Instagram and Twitter. “You HAVE TO be a go getter, otherwise it’s not going to happen to you.” – @PMF1030 #hustle What is “it”? You decide! What is private in Japan? If I tell my co-workers I have hemorrhoids, diarrhea, or need to go to the OBGYN will they tell everyone else? These may not be questions JETs think about when they first go to Japan. It also may not be something JETs consider when they are ill and trying to gain medical care or just discussing information (i.e., relationship status) about themselves with their co-workers. The reality is Japanese cultural conceptions of privacy might be different than many JETs’ expectations. Depending upon how individualist or collectivist your home country is will influence how privacy is interpreted, expected, and maintained. The concept of “what is private” or “privacy” differs cross-culturally, as do the ways in which privacy values are expressed. Japan has been largely classified as a collectivistic culture. As you know from your own experiences in Japan, the group matters more than the individual. In other words, in Japan the “we” wants and goals come before the “I” or “me” wants and goals. For collectivists, the very notion of privacy might be viewed as selfish due to an individual’s wants and goals taking precedent over the group’s desires. Japanese language use two distinct, yet interrelated meanings of Japanese privacy: shakai ( 社会), or “public,” and seken (世間), or “world/society.” Such terms stress the importance of relationships, interdependence, and group harmony. Shakai contributes to negative aspects of crimes being withheld from the media in order to protect victims and their families. If one was to “break shakai” it would involve speaking publically about private matters which might harm another’s reputation. Seken emphasizes human relations and allows Japanese people the ability to “understand” or at least “explain” what went wrong in a given situation. To the foreign eye, this might look intrusive, or like “gossip,” as one tries to understand one’s home life or culture to explain a tragic event. As JETs operate on differing values of privacy, this might result in individuals feeling “violated” or “exposed.” Perceived privacy violations can lead to relationship withdrawal, isolation, and negative assumptions/stereotypes about one’s co-worker or Japan in general. Throughout my research, gaijin English teachers reported feeling that their co-workers invaded/violated their privacy expectations. In other words, if they told someone something, it was then told to someone else, who then told someone else…etc. You get the point. In my research, gaijin felt victimized when people knew things about them that they didn’t disclose (i.e., So and so sensei told me you went to the doctor and are on X medication), even if it was something positive (i.e., I heard your dental checkup went well!). My participants felt like “celebrities” because “everyone (i.e., Japanese people)” in their communities knew “everything” about them. Critics of my participants’ stories have said “Well, they should know it will be different from their home country.” It is easy to say “expect things to be different.” To what extent should this responsibility be shared? No recruiting organizations discuss privacy in their trainings. Perhaps privacy is something so engrained in one’s culture that it is perceived to be “common sense?” Perhaps that “common sense” is where the most difficulties exist when what one “commonly” thinks doesn’t work. Regardless, this is a collective issue that requires further dialogue and research to better understand how to cultivate meaningful relationships. Several of my participants chose to cut their contracts short or to not renew because of their interpersonal privacy experiences. That’s costly – it costs financially and personally. Hot springs tips and hints: Not just for first-timers! Advice, Life As a JET, Travel/Tourism etiquette, hot springs, manners, onsen Comments Off on Hot springs tips and hints: Not just for first-timers! Posted by Audrey Akcasu (Omura, Nagasaki ALT, 2010-2014); Former editor-in-chief of Nagazasshi, Nagasaki’s premier English speaker-oriented events and culture magazine; Current writer and translator for RocketNews24, a Japan-based site dedicate to bringing fun and quirky news from Asia to English speakers. This probably comes as a refresher for many of you, but this infographic is helpful for newbies to the Japanese hot springs scene, but also contains some fun information that even seasoned veterans (and Japanese people) may not know. Plus, the drawings are really nice! A larger version of the infographic is available on TripAdvisor and you can read about this in more elaborate detail on RocketNews24. Happy bathing! The infographic was released by the Ministry of Land, Infrastructure, Transport and Tourism Hokkaido District Transport Bureau in collaboration with BathClin. By Jayme Tsutsuse (Kyoto-fu 2013-2014), organizer for Cross-Cultural Kansai, seeking work opportunities in NYC starting August 2014! Cross-Cultural Kansai’s Summertime Picnic at the Kamogawa river in Kyoto, celebrating global identities with delicious food, beautiful weather, and amazing friends. At the JET Program Tokyo Orientation last summer, we were all told to get involved in our communities as much as possible. It seemed like good advice, so I jotted it down in my list of goals, expecting this promise to somehow become less vague once I settled in. I’m not sure how I envisioned it would happen. Obviously there wouldn’t be a community, gathered with open arms, ready welcoming me in when I arrived. Fair enough. But really, what were we supposed to do? A friend suggested that I check out Meetup.com, and I was surprised to see how popular it was in Kansai (not nearly as expansive as New York or London, but still!). 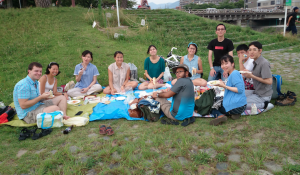 Every weekend, I’d join events in Osaka or Kyoto, and I never failed to fall deep into conversations with new friends about our backgrounds, where we came from, how it affects who we are today and where we want to go in the future. I loved listening to their stories. And the more I came across these stories, the more I thought about how great it would be to create a space for them, a community premised on sharing these parts of ourselves. Let’s Talk Japan is a monthly, interview format podcast covering a wide range of Japan-related topics. Host Nick Harling (Mie-ken, 2001-03) lived in Japan from 2001 until 2005, including two great years as a JET Program participant in Mie-Ken. He practices law in Washington, D.C., and lives with his wife who patiently listens to him talk about Japan . . . a lot. A few weeks ago, I was invited to a pre-departure orientation for new JET Program participants, organized by the JET Program Office at the Embassy of Japan. The orientation covered a wide range of topics, and I am very grateful to the Japanese Embassy for allowing me to record the event and use the audio on the podcast. The presenters were all JET Program alumni, who shared their first-hand experiences and advice with the new JETs on a wide range of topics. In this episode, I have included three particularly useful presentations; including: (1) Things To Do Before You Leave; (2) Life in Japan; and (3) Life as an Assistant Language Teacher. These are just a few of the topics covered at the orientation, and I hope to share more of them with you in a future episode. If you know of someone considering the JET Program or moving to Japan, there’s a lot of useful information in this episode. If you have not already done so, be sure to follow the podcast on Twitter @letstalkjapan and leave a positive rating/review in iTunes. On Saturday, I spoke at a Q&A Panel for NEJETAA on technology in Japan. For an informal debriefing, I did aite, but I finished feeling like I could’ve done better. I thought I’d do a recap here and add the stuff I forgot to mention originally. This info should be helpful for anyone who’s going to stay in Japan, not just JETs, so let me know in the comments what you think. By Eden Law (Fukushima-ken, 2010-11) for JQ magazine. Eden lived and worked in the core city of Iwaki on JET, and is JETAA New South Wales‘s webmaster, meaning he is the voice on all the online and social media for the Sydney-based chapter like Twitter, Instagram (both @jetaansw) and Facebook. At the start of this year, dramatic changes took place as CLAIR (the Council of Local Authorities for International Relations) formally announced changes to its relationship with AJET (the Association for Japan Exchange and Teaching), with the full details made public by the latter on their Facebook page on a post dated January 27. The immediate outcome of this decision means that AJET’s participation and input at CLAIR-organised events such as the Tokyo Orientation and After JET conferences will be discontinued. While AJET has had a low profile in the collective consciousness of many on the programme, these changes will inevitably impact all JET participants, most immediately in how conferences will be held and run, and how AJET will continue to represent and assist the needs of the JET community. Historically, the volunteer organisation has existed from the start of the JET Programme and is run by JETs to benefit and support participants in Japan. Now, it faces the biggest challenge of its 27-year history. For those who may not have heard of or know about AJET, its constitution describes it as a volunteer organisation whose purpose is to foster a successful working relationship between JET Programme sponsors and participants, as well as to promote and support the JET community. In turn, it presents itself as a representative of the same community. Founded in 1987 right from the start of the JET Programme itself, AJET’s early work was very much focused on providing a support network for the first participants. Kay Makishi (Fukuoka-ken CIR, 2011-14), 2014’s outgoing AJET chair who completed her one-year term on the AJET council, sums up her focus on the JET community: “I wanted to see more energy spent on starting projects like our Professional Development Conference Calls…[and] collaborating more with JETAA so JETs have more support finding jobs post-JET,” she explained. Each month, current and former JET participants are featured in the “JET Plaza” section of the CLAIR Forum magazine. The March 2014 edition includes an article by current JET participant Christopher Chong. Posted by Celine Castex (Chiba-ken, 2006-11), currently programme coordinator at CLAIR Tokyo. Originally from London, U.K., Christopher Chong (Chiba-ken, Sosa-shi, 2011-present) holds a master’s degree in Music Composition and Composition for TV/Film from Royal College of Music. He came to Japan for the first time to study illustration in a manga school. He applied to the JET Programme after realizing that all his areas of interest revolved around Japan. Christopher currently works as an ALT in rural Chiba and is actively involved in his community, as an AJET leader and a tourism ambassador as well. Jan… Ken… Pon! “I knew it! You’re not Japanese!” the child exclaimed. I’d been exposed. Despite the bright red spandex uniform and custom made Power Ranger helmet, my style of playing ‘Rock Paper Scissors’ had given away the fact that I am, indeed, a foreigner in Japan. 24 hours a day, 7 days a week, with a costume or without, I am an international Power Ranger. And I call myself, ‘ALT’. Volunteering at the town festival to dress up as my city mascot, a kind of ‘Super Sentai,’ was a fantastic experience. It wasn’t a working day and I wasn’t in a classroom, but I was doing what JETs do best, making myself present. Every minute of every day is another chance to interact with people. I wasn’t studying, and I wasn’t teaching. I was part of cultural exchange, and that can happen in any place, at any time. Even after a great English class, it’s the next 10 minutes that are really special. Quickly I am surrounded by 30 bag-grabbing, iPad-tapping, glasses-snatching children. For only 10 minutes I have the chance to answer questions about my recent trip to France, let children strum my electric guitar or even award stickers to the winners of the iPad English quiz game I have created for my students to play. The time is short, but precious. Jeremy Tan is a 2013 Kochi-shi, Kochi-ken CIR, and with the imminent announcement of 2014’s new batch, he reflects on his observation of what the JET Programme is like, and what it’s for. Originally published for JETAA NSW, the article was published in two parts, but it is published in its entirety here. It has been almost 9 months since I departed from Sydney, Australia. Many memories and the like have been made since then. Please read these paragraphs, if you have time. I hope they can help you. I remember the months leading up to the departure as a whirlwind of meeting people, preparing for departure and being really excited that I was about to start a new Journey in Japan. I have been to Japan before on exchange during my university years however this time, it’s for work. And it was very different from what you would have experienced before. Receiving the placement letter, was a long wait. The system does provide for some contracting organizations to send their letters to JET applicants at an earlier time, however the smaller/local contracting organizations tend to take their time in sending their documents. At first I thought it was just a matter of problem in the communication line, the slowness of the mail system etc. Or perhaps the fact that they have at least 10,000 people applying each year for the program. It’s actually Japanese people being polite and making sure everyone knows who you are before you come. Having to submit my letter of resignation to my current workplace, and listening to many regrets from colleagues and friends alike was heart-wrenching. However they cheered me on, for something that I had a dream for; Japan. The whirlwind definitely can be extremely stressful or adrenaline pumping. I think I experienced the latter. So much adrenaline, but yet all you need is yourself. They picked you, they believe in you. Meeting new JET applicants. Packing my suitcases, bags and boxes. Having to submit my end of lease papers. Closing my bills. (Even now I have to deal with outstanding bills that don’t want to let go of me). Organizing bank accounts, important documents and overseas credit cards. These all came in quite a wave, especially since I have been living as an independent, without my family overseas since I was 17. I felt like I had to pack almost 10 years of my life into a few boxes and send it over to Japan. Now I live each day as if it was my only life. Your life will be what you make it each day. I think around this time, April, is when most of us JETs were finally hearing about our placements and trying to find out about our contracting organizations. So, perhaps our year really actually started around this time. Having to write down so many experiences into a single article can seem quite daunting. Believe me it has been an undertaking with many memories. And that is the most important thing – making memories. Australia, my country, Sydney, my city. Discussions on Facebook, forums and many other social networks, all JETs trying to keep networking and keep in contact. It’s surprising how, when we arrived, the journey together in orientation is a short one. We make friends from our original application embassies. Then we make friends in our local area, city, town and prefecture. The program is amazing in how it develops you, to further strengthen your identity. You meet so many people, especially the Japanese that you work with. They all have special peculiarities, personalities. Their personalities, and most importantly, what makes them Japanese. Another important thing, the people. They’re important. As young JETs we generally romanticize the features of Japan. Without a doubt, the MOFA sells Japan as a whole. It’s their job. However this program is not exactly that. It’s about the people and kids you live with. The program wants to change lives. They first changed your life. They gave you the opportunity to come on the program. So now, all you have to do is make a difference to the lives of those you will meet. Don’t worry if you’re no super-worker, ace-teacher or not perfect in any way. They just want you to be the perfect friend to Japan. When you make a difference to one child or one colleague or one person’s life in Japan, pat yourself on the back and grab a beer. Especially if you are in Kochi. I have fears of what I can say in this article, but some things should be said. If I had been asked for just a few words could I tell the JET applicants what they should be prepared for? I’ll try. Don’t come here for the English. Unless you have power that can change the world, you will hurt yourself. The resilience needed to change an estimated 123,000,000 people’s worth of education, is more than Mount Fuji (it’s been made a UNESCO heritage site, as of 2013, more things to look forward to). They ask of you, yourself, and your identity, to assume a persona from another country for the children and people of Japan. Rural Japan, where you will be most likely be sent does not really have much exposure to the outside world. They have, over years, tried to improve their English ability. It’s hard for them, just like how the Japanese language is equally difficult to learn. So don’t expect them to change quickly or easily. They will need pushing and pulling as long as their history, which is vast and long. You’re a part of that big process. So? What does it mean? Give up on JET? Well, if you really want to be a hardboiled teacher of English, it’s going to be different from the way you were trained. Japan’s government and current society realizes that. It’s a stoic country still stuck in their old ways. Japan likes its traditions. Sometimes too much and it can be hard to move on. But that’s Japan’s specialty; without that, you won’t get Kyoto, Kamakura, and all the old Japanese temples, clothes and things that we now respect as part of Japan. It develops and becomes the culture, because it is their culture. So it will take time for them to develop their English. This is not research, just the thoughts of what I have experienced over the months. Writing this to tell you about Japan, somehow helps. It really shows that in agreeing to Japan, you’re actually saying, “Yes! I want to be someone that can be myself, learn about the people and I want to make friends.” You see, if the is one thing people mistake when coming here, it is the work aspect. I don’t want to belittle the program. I am on it. But it’s not really work, so to say/speak. It’s like a buffer program, so that, should you wish to stay on in Japan or even return home, you know how to act, survive and persevere in a Japanese workplace, community and lifestyle. Via AJET Chair Kay Makishi. 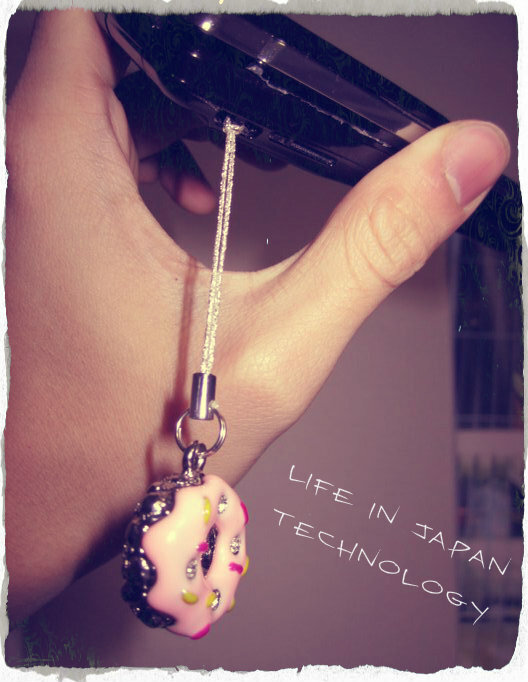 Posted by blogger and podcaster Jon Dao (Toyama-ken, 2009-12). Each month, current and former JET participants are featured in the “JET Plaza” section of the CLAIR Forum magazine. The January 2014 edition includes an article by current JET participant Jody Dixon. Posted by Celine Castex (Chiba-ken, 2006-11), currently programme coordinator at CLAIR Tokyo. 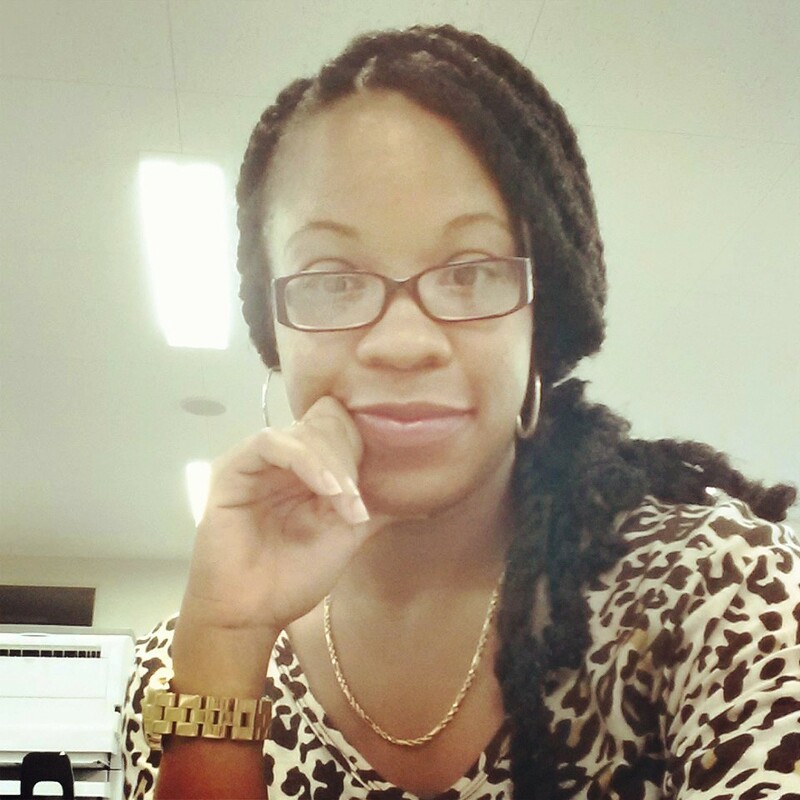 Originally from Jamaica, Jody Maria-Ann Dixon (Yamanashi-ken, 2009- present) came to Japan for the first time on the JET Programme. The melting pot of cultures and experiences she had daily during her previous job as a Guest Services Manager and Environmental Project Manager at a resort, coupled with her previous academic pursuits (BSc Geography and Geology at the University of the West Indies) were a huge influence on her decision to join the Programme. 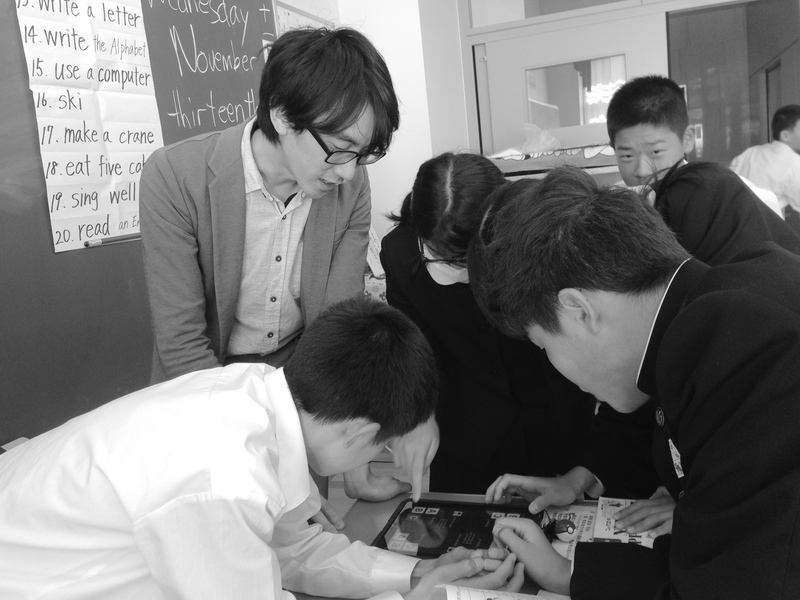 She has been living and teaching in Fuefuki, Yamanashi, for the past five years and reckons that this experience has engendered a spirit of loyalty; deepened her respect for people and their cultures; and has helped her immensely in making decisions towards her lifelong career goals, which will be centred on international education. “If you talk to a man in a language he understands, that goes to his head. If you talk to him in his language, that goes to his heart.” – Nelson Mandela. “Hello, Konnichiwa!” After four and a half years of walking down my senior high school’s corridors shoulder to shoulder with my Japanese Teachers of English, and hearing this familiar greeting, I am still tremendously appreciative of my students’ use of both English and Japanese interchangeably. 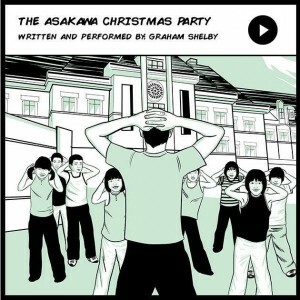 Whether they believe that I still don’t understand Japanese (due to my minimal use at school), and they are making an effort to be accommodating; or it is simply an encoded reflex upon catching sight of me, it doesn’t diminish the warmth that the vocalization of a single, friendly, English word evokes. Upon accepting my placement on the JET Programme, I was honestly blasé about the idea of learning the Japanese language. In my mind, I presumed two things: if it wasn’t a requirement for acceptance, it wasn’t a requirement for “survival,” and; with immersion, the acquisition of Japanese language skills would come easily and naturally. It was indeed sad, the hubris of this English monolingual. Consequently, I arrived in Tokyo in the summer of 2009, and shortly after being welcomed by the beaming faces of fellow foreigners with brightly decorated English placards, I was bombarded with signs, questions, choices and challenges, entirely in Japanese. Though I was to be a resident in this country – for what I didn’t know then, was going to be at least five years – for a moment, (that I didn’t allow to last too long), I was nothing more than a struggling “tourist,” being constantly aided by jovial and obliging individuals using a mixture of a smidgen of English, light speed Japanese, gestures noteworthy of a winning game of charades and a series of begrudging sighs.